Welcome to the Inaugural Saint John Fire department Gala! The tables are set, the Champaign is chilled and the red carpet is rolled out. It is now time for you to get ready for an evening to celebrate the Fire Service, as well as support The Salvation Army’s Community Outreach Program. 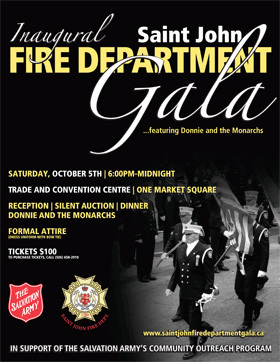 The host facility for the inaugural Saint John Fire Department Gala is the Saint John Trade and Convention Centre, Marco Polo Room. Managed by the Hilton Saint John, the Saint John Trade & Convention centre is the largest such facility in the Province of New Brunswick. With over 24,000 square feet of pillar free meeting space it consists of a 17,000 square foot ballroom, large foyer, six breakout rooms, a boardroom, and a welcome centre. With a capacity of 2300 people, it is the ideal venue for Trade Shows, Conventions, large or small meetings, social functions, fundraisers, concerts, or Galas. The Saint John Trade & Convention Centre has recently hosted such distinguished and diverse events such as the East Coast Music Awards, The Canadian Country Music Awards, The Pentecostal Assemblies of Canada Conference, The Canadian Mental Health Association Convention, The National Healthcare Leadership Convention, TD Bank National Convention, to name a few. More recently, renovations to the Trade & Convention Centre are slated to be completed by mid-September, well in advance of the Gala. 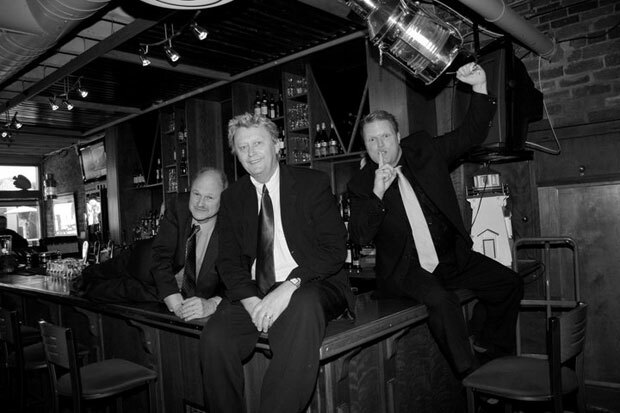 A regular at Grannans Seafood, the Kindred Brothers, featuring David Kindred, Peter Dale Kindred and Dave Bartlett; will play a mix of Jazz and contemporary music during the reception and dinner portion of the Gala. After the conclusion of the Dinner and presentation portion of the evening, the real fun begins when the best dance band in New Brunswick, taking the stage. For over 30 years Donnie and the Monarchs delivered a constant stream of classic Rock 'n Roll, in venues across Eastern Canada, becoming a Maritime Rock 'n Roll icon along the way. In 2010 the band took a couple years off the tour, marking 29 years of playing favorites, from Quebec to Newfoundland, and everywhere in between. 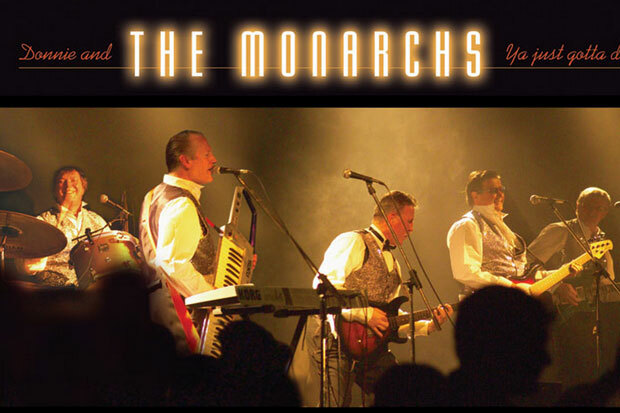 The Monarchs have worked with many legendary performers such as The Beach Boys, Tiny Tim, Freddy Cannon, Dr. Hook, Bobby Day, Tommy Roe, The Coasters, Michelle Wright, Tommy Hunter, John Allen Cameron, the Rankin Family and Canadian Idol finalist Casey LeBlanc. Noted for a choice of classic dancing favorites from the 50s to the 90s, mixed with great costumes, wild antics and audience participation, The Monarchs demand dancing and singing along, and the feeling is contagious! The band consists of lead singer and guitarist Lee Boyer, keyboardist Gary Chase, bass guitarist Kris McIntyre, drummer John McIntyre, and lead guitarist Bob Morgan.